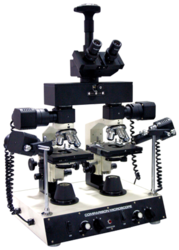 Comparison Microscope Rs 2.4 Lakh/no. 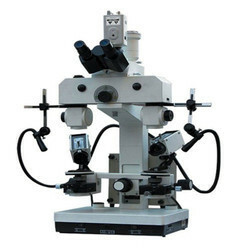 Comparison Microscope Rs 2.49 Lakh/no. Illumination: 6V 30W halogen lamp, AC85~230V, Adjustable. - suitable forensic educational and research, qcm-700 is basically used for forensic science and police department in large quantity. It\'s also provided these departments such as police training school, bank, tax, print, coinage archaeology and etc.